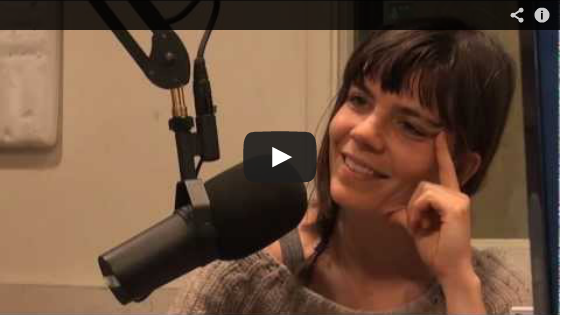 Multi-media interdisciplinary, digital and performance artist, Eve Warnock came onto KZSC 88.1 FM's Artist on Art to talk about her art of directing, designing, performing and storytelling. Her media of choice include experimental films and installation projects. DANM '09 alum, Nada Miljkovic spoke with Eve particularly about her newest and graduating project, Seekago go, a five-part video series. Eve will be graduating from the Digital Arts and New Media MFA program this spring. She is the first interview in the series of Graduating DANMites 2013. View Derek on the YouTube video. You will be able to see Eve’s video installation, Seekago go, April 27-28 + May 2-5, 2013 as a part of the 2013 Digital Arts and New Media MFA exhibition, ground(ctrl), at the Digital Arts Research Center, UCSC.